We do more than just keep your surfaces clean and shiny. We also offer solutions to protect your valuable flooring, giving it the extra power to last you through the years. Furniture pads for your Hinsdale home or office provide an attractive way to prevent scratches on your floor. Haugland Brothers is proud to offer these to our valuable customers, both in Chicago and surrounding cities. What Do Felt Furniture Pads Do? Felt pads allow you to protect any flooring type susceptible to scratches and keeping it looking new. Placed on the bottoms of furniture legs, they provide a soft cushion between the floor and the furniture. 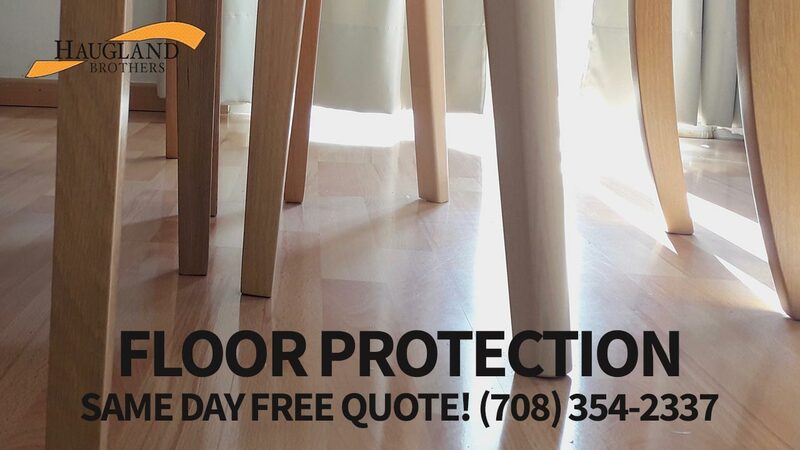 Use them on your pieces of furniture that get moved most often, like ottomans, chairs, and stools, to protect the integrity of your valuable floor. This is an inexpensive way to extend the life of your wood floors. Coming in a variety of shapes and sizes, they can be fitted to any furniture in your home. Installing felt pads to the legs of your furniture is a simple project that Haugland Brothers would be happy to help you with. Since many come with self adhesive tape, putting them on is not much more than peeling and sticking. Haugland Brothers offers high quality felt pads that will not slip off with ease. Feel free to move your furniture freely, as the felt pads keep the floor protected. Why are Felt Pads For Your Furniture Important? Wood floors depend on a protective coating that keeps them shiny and stops water and dirt from making its way to the wood grain. The legs of furniture pieces are made of hard materials, that when slid across the wood floor will scratch through that coating or even leave grooves in the wood. Not only does this deter from the beautiful look of your wood floors, it allows sand and water to get inside and in between the grains. In order to preserve the integrity of your wood floors, you need to prevent that scratching from your furniture. The best way to do this is by having Haugland Brothers install felt pads on the legs of your furniture pieces. Call Haugland Brothers today at (708) 354-2337 for a professional wood floor cleaning and ask about our felt furniture pads. Our team of experts will be delighted to help in choosing the right furniture pads to protect your floors.